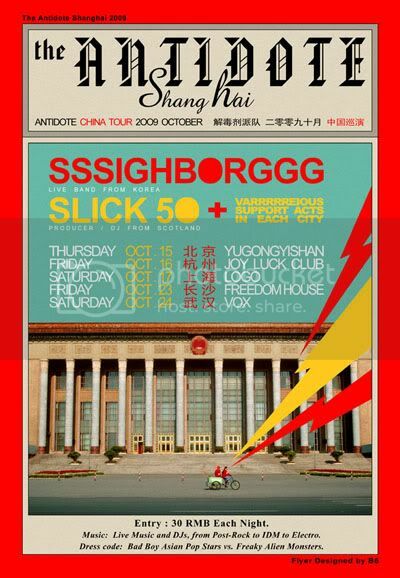 Sssighborggg [live band from Korea] + Slick 50 [producer / DJ from UK] + Sulumi [Beijing] , DJ Ozone, and Special Secret Guests! People consumed by pond scum. Totally weird and totally awesome! luminaries the Freestylers, Leftfield, Pressure Drop, Krafty Kuts, Mr.